We are a large-scale manufacturer in Germany and Italy and Wholesale-oriented in the United States and Canada. 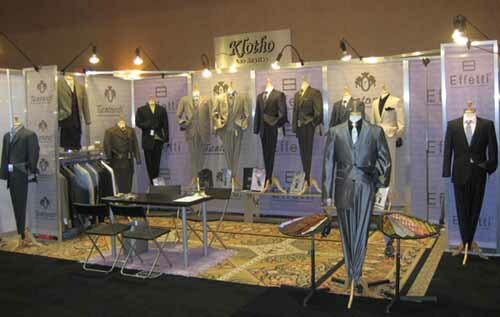 We specialize in manufacturing excellent selection of suits, tuxedo’s, sport coats, slacks, silk ties, shoes, and beautifully crafted fine cotton shirts. Since 1996, we Started selling on the web in Germany's Ebay under dress.up user name with 100% positive Feedback (Ebay Power Seller).In 2001 we decided to develop MensUSA.com in order to target Men’s Market in the United States with European clothing. Our WebSite is designed to allow customers to select and purchase apparel by themselves. Our Online Website atmosphere is very friendly, and there are no salesmen around!! Spend money for the real quality, not a name (We claim our product quality is the same as Zegna and Canali). In MensUSA.com, we guarantee our product quality. 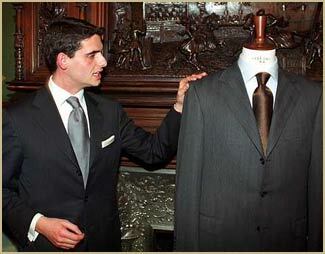 The authenticity of products can be proved with your tailor. We have adopted SSL (Secure Sockets Layer) Technology to assure that your personal information (such as name, address, credit card #'s, etc) cannot be intercepted by third parties. 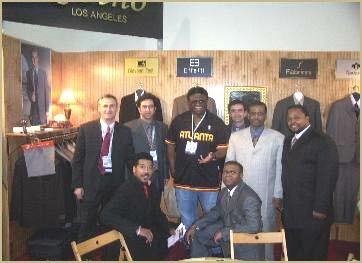 In Men's USA we target Low, middle and upper-middle income men by offering quality merchandise at everyday low prices. Because we concentrate on men's "wear-to-work" business attire which is characterized by infrequent and more predictable fashion changes, we believe we are not as exposed to trends typical of more fashion-forward apparel retailers, where significant markdowns and promotional pricing are more common. In addition, because this inventory mix includes "business casual" merchandise, we are able to meet demand for such products resulting from the trend over the past decade toward more relaxed dress codes in the workplace. We also have added new casual clothing/sportswear to our stores concepts. 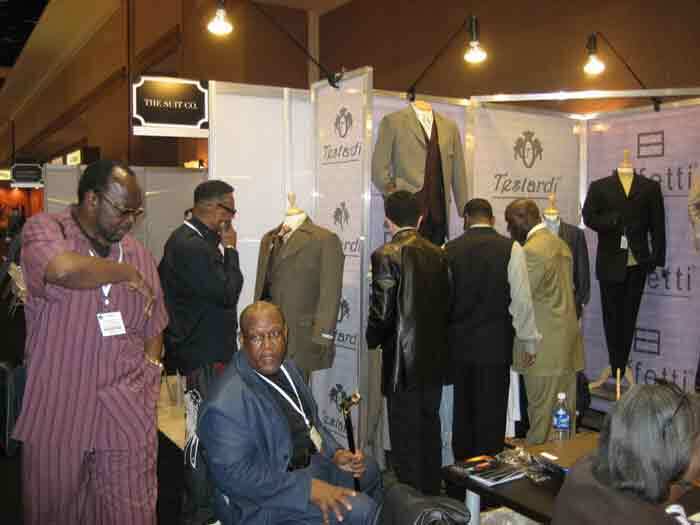 We also strive to provide a superior level of customer service by training our sales personnel as clothing consultants and offering on-site tailoring services in each of our stores. 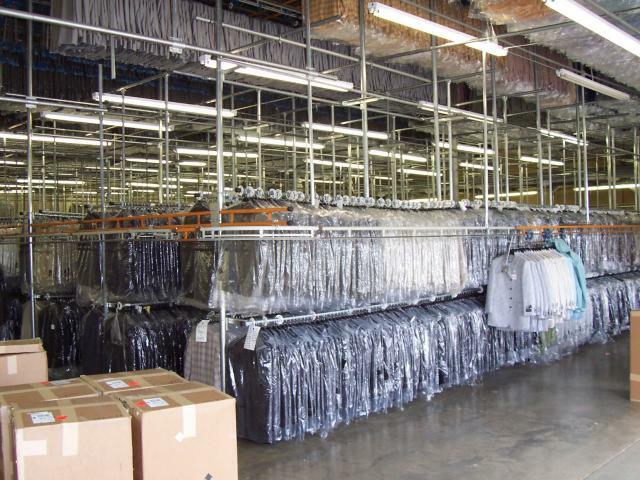 We believe that the quality, value, selection and service we provide to ourMensUSA customers have been significant factors in enabling us to consistently gain market share within both the U.S. and Canadian markets for men's tailored apparel. We are imparting our love and knowledge and creativity to others in order to keep beauty and a sense of aesthetics and its history alive. There are the art forms of too many generations at stake here. We feel compelled and responsible to pass it along". The web site designed to allow customers to select and purchase apparel by themselves. Our Online Website atmosphere is very friendly, and there are no salesmen around!!! The people working here are looking to help our clients and are professional wardrobe consultants.